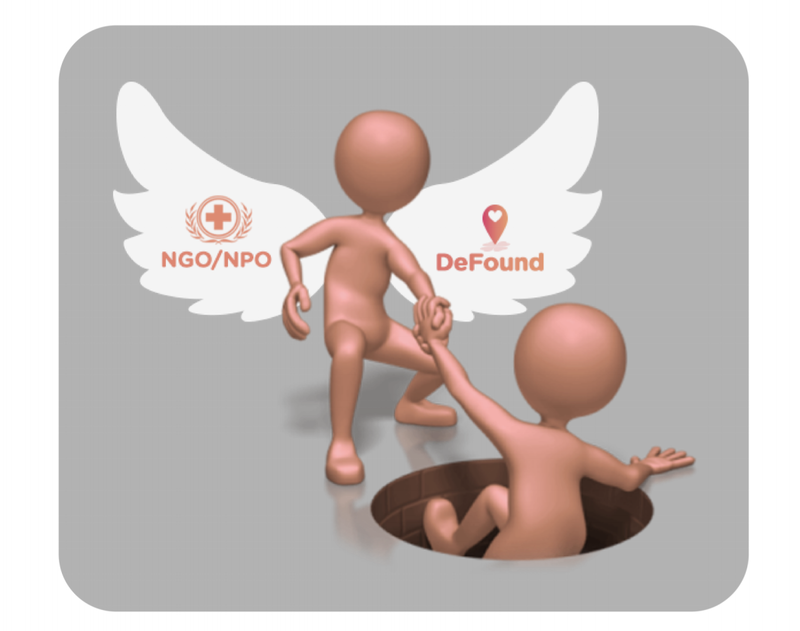 DeFound — more than just a charity foundation! If you have read DatEat’s whitepaper or information elsewhere, chances are you have seen the word “DeFound.” DeFound is a charity foundation that aims to help the poor and also the ones that lack the knowledge and tools to help themselves in life. This foundation; however, offers much more than a traditional charity. Instead, it creates a whole new dimension to the ways that people contribute to the society. All charity entities do a very simple and basic thing: give away something (could be money, food, water, clothing, etc.) to someone who really needs them. Many celebrities, athletes and rich businessmen have their own foundations which they regularly donate money into and also raise a lot of money from other people. These funds are located to support money, goods or services to certain groups of people on a monthly, quarterly or yearly basis. The rest of the charity activists usually donate their wealth to help others when something bad happens, mostly natural disaster and accident. Most donations are voluntary and often times the donors do not really care and track their donations one by one. They will usually deposit money, or other necessities, to a foundation that they know of and then let the foundation does the work. Most of the time it works but sometimes, there are not so good foundations that do not do the transferring money to the poor efficiently enough or they may even deliberately put money in their own pockets. Transparency is the key to any charity foundation. When it comes to transparency, nothing beats blockchain technology. Each transaction and the identities of both the giving and the receiving sides are clear as crystal. DatEat is a dating ecosystem but what interesting is that it creates a perfect platform for organizations all over the world to do charity. Some people cannot afford to buy goods and services offered by DatEat’s partners. All charity donors can utilize DatEat platform to distribute DTEs to those who need the most and they can then use DTEs to purchase what they need, including Mentors — a counselling and advising function. Seamless, fast, convenient and transparent transaction — this is what the future of charity should look like.